Thaumic Energistics Mod 1.12.2/1.11.2 for Minecraft is an addon which combines ThaumCraft và Applied Energistics 2. Two mod above is the most popular in modpack about high technology and modern magic. These items appear in many big modpack from Technicpack or Feed The Beast. Perhaps supporting from both two mod makes them always important in that kind of modpack. Perhaps many people wonder: Why does a magical mod like ThaumCraft relate to a science mod like Applied Energistics 2? Applied Energistics 2 provides the player a huge container box which can open following time and infinite. It is extremely necessary to ThaumCraft because ThaumCraft has a giant material. And, sooner or later, the material is always necessary. With the ability to store and managing inventory of Applied Energistics, the ThaumCraft material does not a problem. If the player can make use of material from ThaumCraft, he or she can generate power from magic. It also can help the memory of Applied Energistics always full of energy. 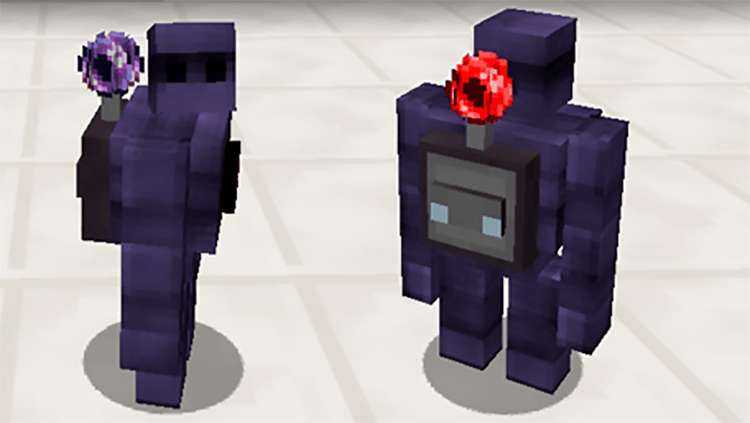 With Thaumic Energistics, ThaumCraft and Applied Energistics can become one mod with remote golem and magical store machine. Thaumic Energistics requires Minecraft version 1.7.10, Forge Mod Loader, ThaumCraft and Applied Energistics 2. Download Forge Installer, Thaumic Energistics, ThaumCraft, and Applied Energistics 2. Put jar file of Thaumic Energistics, ThaumCraft, and Applied Energistics 2 into mods folder and then run Minecraft. Done!